Booming and blasting through your music like lightning crackling across a thundering night sky, Hyper Beats is a drum preset collection of unusual power and intensity. Featuring 160 sounds for Maschine arranged into 10 kits, as well as 48 MIDI loops covering a range of genres, this collection packs enough energy to shake entire cities! With the Maschine 2.0 update, Native Instruments introduced brand new drum synths including plugins for kicks, snares, hats, toms and percussion. Ever since this update, we’ve been hard at work studying every detail of these percussive powerhouses, creating a drum preset library of deft versatility and raw power in the process. 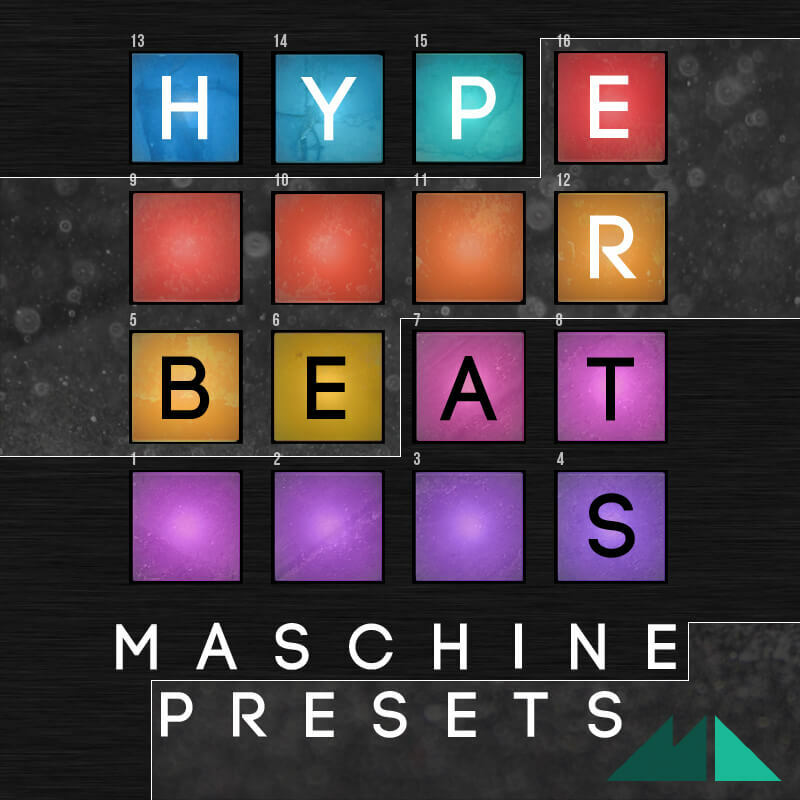 Hyper Beats is a collection of 160 drum synth presets arranged into 10 complete Maschine kits. From kicks heavier than a wrecking ball to snares that’ll slap your tracks into the next decade, these presets blend and bend genres to catapult your drum sound into a whole new frenetic dimension. Everything from Trap, Glitch Hop, Dubstep and Hip Hop to House, Progressive and beyond has been studied and captured in these richly detailed kits. Open your ears to a whole new drum experience and make your music glow with the white-hot intensity of Hyper Beats!